I completed one of my short summer projects – just in time to head to Australia. I built a much better lumber stack in the unused garage bay. It had been sitting in one of the bays where I park, but I needed to make the stack flat so the wood wouldn’t dry bowed. 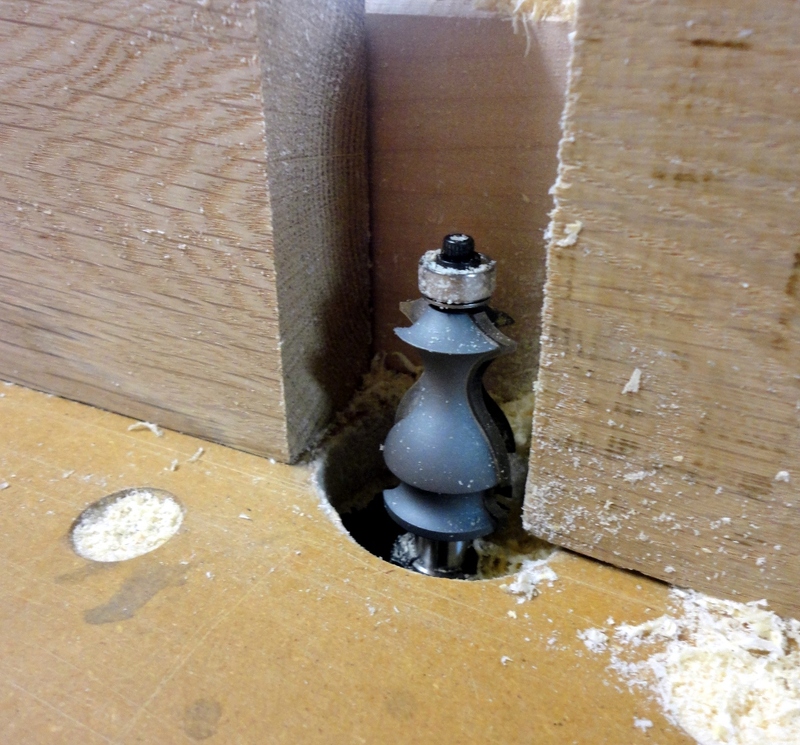 I also made the stack 4-feet deep vice 2-feed deep. I had forgotten how heavy the red oak planks were. 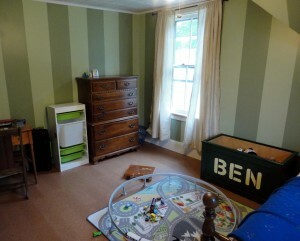 I finally finished Ben’s bedroom today. Almost all the tools are back in the shop (ok, one more trip left). 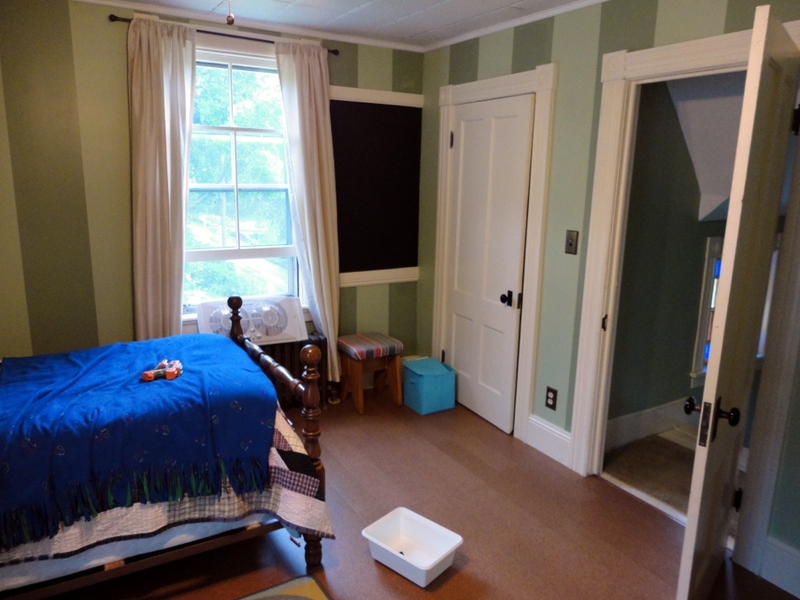 I just finished touching up the paint – but it is a boy’s room – so touching up paint could be a weekly project if I desired. 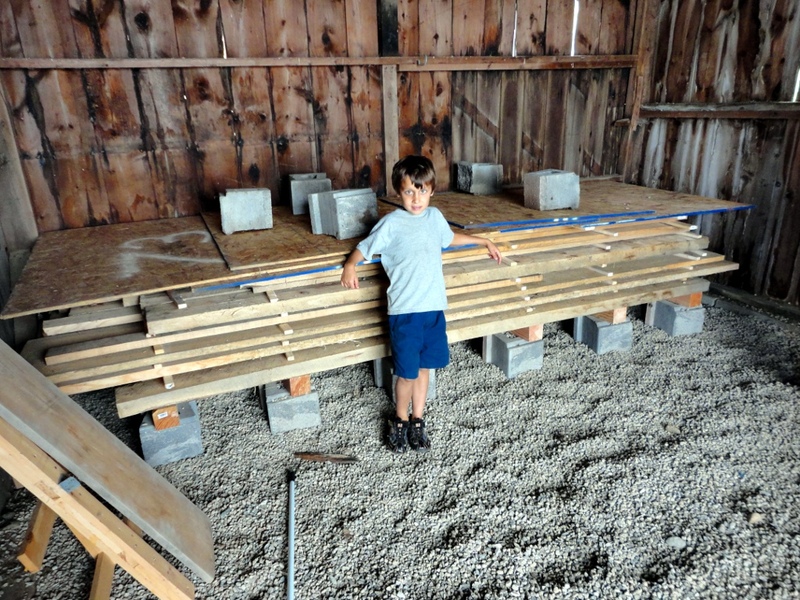 He now wants shelves in his closet – but I’m counting that as a second project. Now off to the movies (something to do on a rainy day) – then to Target to get some storage bins for Ben. He is slowly in the process of moving his stuff from his old room to the new one. I won’t show a picture of the big pile of toys and stuff he has in his old room – I’m hoping he decides to go through it and throw a lot out. The afternoon started off well. The boys were about as expected, running around with their friend, Justin. Of course at times it got a little out of hand. Of course one of those times, Will got in trouble (don’t worry, Ben got in trouble as well the other time). So he got a time-out in his room (and yes, for those without kids, time-outs do work). 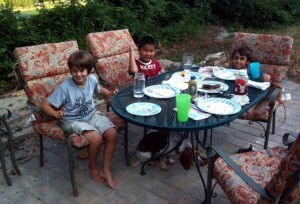 I’m outside with Ben and Justin – I have my phone set to go off when Will’s time-out is over. From above, I hear the sound of glass breaking – from Will’s window. I run upstairs – a little angry- I’ve assumed the window broke because he was angry and threw something that broke the window (hey, seems fair – the usual cause of broken windows is things being thrown ). Well, it turns out that he wasn’t throwing things. He had just been leaning with his hand on the window pane and it broke. And he was upset – upset about the time-out – scared he had broken his window (there was glass all over the floor). Thankfully the only thing on him was a small scratch on his arm (I am VERY thankful for no trip to the ER). So, after he calmed down (and I calmed down), I sat down with him. I told him that he wasn’t in trouble (it was an accident), but that he needed to help fix the window. That made him more upset (he wanted to play with Justin). I told him it wouldn’t be all afternoon – if I break a window, I am expected to fix it, so it seemed fair if he helped. I think he must have realized that it wouldn’t be fair to play the whole time I was working on fixing the window he broke – he complained a little bit, but did help with the window. We carefully cleaned up the broken glass (work gloves and shoes on). Then off came both stops, and out came the sash. I don’t know why, but the stops on this window have only one screw in the middle, and nails on the top and bottom. Maybe I’ll change it to three screws each tomorrow when I put the window back together (like the rest of the windows in the house). 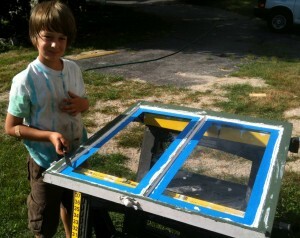 Will cleaned out the rabbet where the broken pane had been (lots of nice old hardened putty). I removed the other pane (the putty was in bad shape – and since he had only broken the one pane, Will didn’t have to help with that pane). Then Will was back to paint the sash. After the paint had dried to the touch, we put a new piece of glass in (strangely enough I had a new piece of glass sitting around the right size), and reglazed the window. I use Glaze-Ease from Advanced Repair Technology, Inc. to glaze the windows. I love the fact that it can be painted 2 hours after glazing (traditional glazing needs to cure for several days prior to painting). It comes in a caulk tube and they have a special tool to get the finish to look like traditional glazing. I’m still working on getting it to turn out perfect – but this is a second floor window, so no one will see the glazing job. Tonight I painted the glazing and removed the tape. Tomorrow I’ll second coat the glazing, and Will and I will wax the sash where it rubs against the parting bead and stop (keeps the paint from sticking) and put the window back together. So Will gets one night without a lower sash (he still has a storm window). And he had a lot less play time this afternoon than he had originally wanted. On the good side, Will learned how to take the lower sash off a double hung window and replace a pane of glass. Another good thing – that window sash was in the worst shape of all of them in the house – so reglazing and repainting was needed. 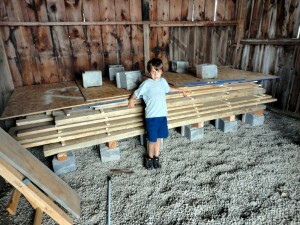 Even better – I got to work on a project with Will for a good part of the afternoon. And I’m pretty sure he won’t lean on a window again. 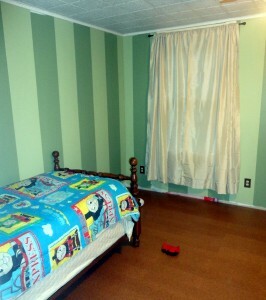 Ok… so the room isn’t totally done. Just almost done. 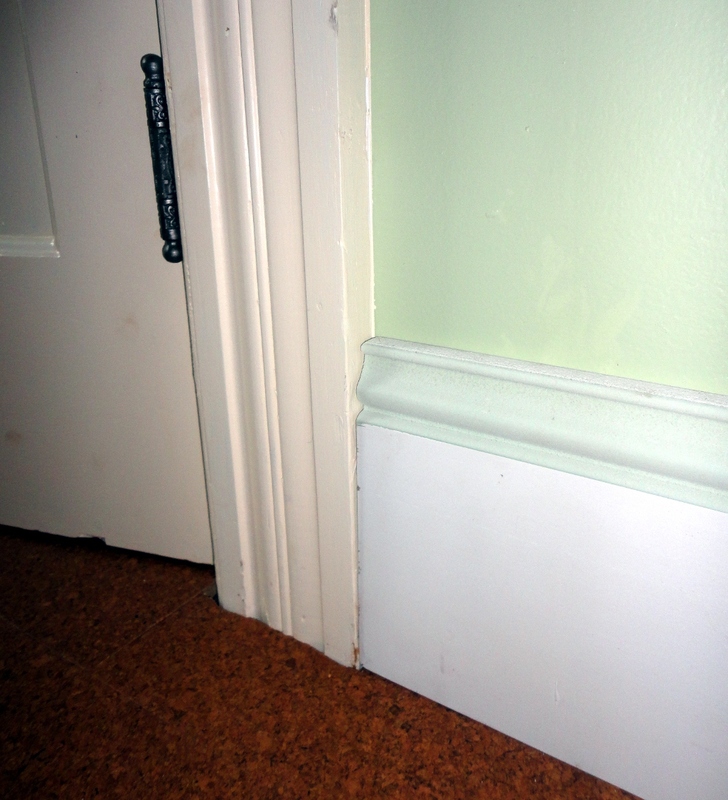 Yesterday I made the baseboard trim. I had decided that I wanted trim that was taller than I could get at the box store, so I purchased a router bit to make the molding. Initially I was going to use some of the red oak I have sitting around to make the trim. But that would require me milling the lumber. And since it was going to be painted anyway, I started with 1×8 pine from home depot. First I made a test piece from a piece of a 3/4″ x 7 1/4″ board I had sitting around. This allowed me to check the look of the trim before I decided to go purchase the lumber. 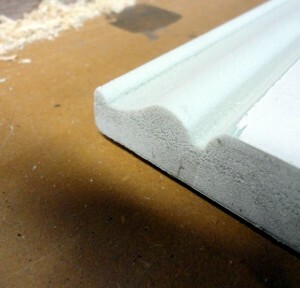 Test fit of trim - chcecking how it matches up with the door trim. After Ben and I had agreed that the trim was a good fit to the room, I went out and picked up the lumber and spent the afternoon milling the baseboard trim and priming the trim. Today, I plan on painting the trim, and will put it in tonight (or later this week if the paint isn’t dry enough to install today (It is humid and raining – it may take longer to dry than normal). At least Ben has been sleeping in the new room – he is very happy to have a larger room. He just hasn’t moved all his stuff over; he is waiting for me to finish the trim before he does that. A long project… nearly done…. I’ve been working on Ben’s room for a long time. A very long time. I started in the room when we first moved into the house. 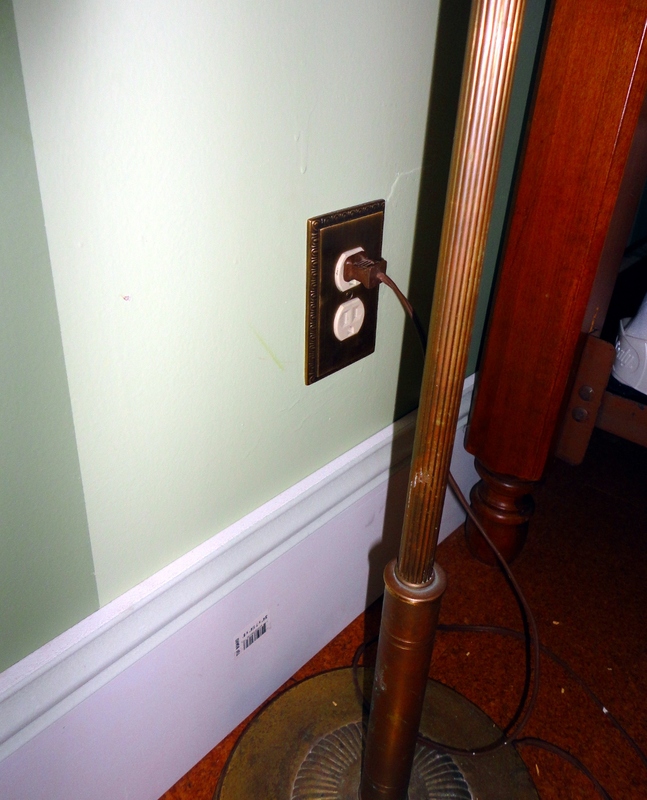 And it kept going on and on… It’s really not that fancy or complicated of a room to renovate. A lot happened since I started the room, including a divorce and a year living in a different house. And the room stayed under construction the entire time. After a while, the project just seemed to live there and have no end in sight. I would start other projects instead of finishing the room. Not that I chose the easiest path to redoing the room. Initially the though was to keep the original plaster. So we peeled the wallpaper off the walls. Then, after leaving and coming back a year later (after much discussion with my dad), I decided to tear out the plaster walls on the exterior wall so I could insulate the room. That was last August (a year ago). My dad showed up and we spent a part of a week late that fall, and we put the insulation up and put up the walls, and the plywood for the ceiling (I had purchased materials to put up a tin ceiling several years ago). I spent that winter putting up the tin ceiling. I had to hand nail every 6-inches with the painted decorative nails. This spring I got the windows in, and at the beginning of the summer, I ordered the flooring. I also had to install the crown molding. I finally go the floor installed last night, and Ben wanted to move his bed in today. As I write he is spending his first night in the room. It was a lot of work…. I restored both windows (repaired and repainted the sashes, and replaced the sash cord with sash chain). I installed a metal ceiling. The room needed all new electrical – so I added outlets on all the walls, and a switch for the light. I ripped out three walls, and installed drywall on all the walls (covering the plaster on one of the walls) – I had a lot of help for that. I installed a new floor (an inexpensive cork floor – but it feels nice under the feet) and painted stripes on the walls. I had a lot of help with the project. Thanks to my dad for helping get me moving on the project last year. And this summer I was able to get a huge amount done thanks to Susanna’s help and encouragement. Of course it’s not completely finished. I still need to mill and install the baseboard trim (but Ben didn’t want to wait). One of the outlets is missing the cover (I couldn’t count when I ordered the outlet covers). The paint needs to be touched up, and the crown molding needs to be caulked. I should get most of that done this weekend – assuming I can find enough red oak to make the baseboard trim (ok, shouldn’t really be a problem). Of course one of the sash chains came off today – but I may wait a while before I fix that – the window is still working. It has been a very busy summer… at least the boys and I have been able to enjoy the other big summer project – a new patio in the back yard. I think I’m going to take it easy on house projects for a little bit. The workshop is a disaster and needs to be cleaned, and I have a whole list of woodworking projects that I want to finish.